Yay! It’s Holiday and Festivities season again. The most awaited period of the year is here! I am sure, Holiday baking is in full swing in your kitchen. If you are a cooking enthusiast and love to exploit this time of the year to prepare your family heritage recipes, then you are a perfect candidate to participate in this Holiday Heritage Recipe contest. The participant must be residing in the United States. We are not entertaining participants from outside the U.S. at present. There is no age limit to enter this contest, and we encourage cooks of all ages to submit their favorite holiday sweet-treat recipes. 2. WHAT DO I NEED TO DO TO WIN? This contest is about more than just a recipe, it’s also about tradition. We ask you to submit the recipe for your favorite Holiday Heritage Sweet Treat (just desserts), which has been passed down from a previous generation, or one that you have passed down to younger generations. This can mean it came from a family member, or a friend – as long as it has been shared across a generation. Each entry must include a recipe and a short story about the heritage and tradition of the recipe (Who gave it to you? Where did it originate from? Does it have an ethnic background, like Indian, Italian, Danish, or any other culture? How long have you been making it? Any funny story behind it? And so on…) make it really interesting for our readers to click through your story and recipe. An interesting title will be an added feature. We @GINGER-IT-UP, appreciate creativity. So, Be Creative!!! Entries will not be accepted without a recipe photograph. A beautifully presented and a wonderfully clicked photograph is a must. For this contest, the story is as important as the recipe, and should not exceed more than 200 words. You have until Sunday, December 11, 2016 to submit your holiday recipe to us at gingeritup.com/recipe-contest . I along with the team of Editor’s at GINGER-IT-UP will review all of the recipe submissions and hold the right to reject or de-list any recipe(s) from entering into the contest if found copied in any form(recipe, photo or text) or inappropriate for any reasons. 4. CAN I SUBMIT MORE THAN ONE RECIPE? No, just one recipe per entrant will be permitted. In the case multiple entries are submitted, only one will be chosen for eligibility. 5. WHO PICKS THE WINNER? I along with the team of Editors @ GINGER-IT-UP would shortlist three Best Holiday Heritage Recipes based on the following criteria. The winner would be decided based on the total number of votes received through public voting. Be sure to share your recipe link with family and friends for voting once your recipe has been shortlisted. We will only add the three finalists recipes on the website for voting. The public will be invited to read each story and recipe online at our blog, and then vote for the recipe they would be most likely to make or try. 6. WHEN IS THE WINNING RECIPE ANNOUNCED? The winner and her/his recipe will be announced on Thursday, December 29, 2016, on our blog and on our Facebook page (Don’t forget to like the page for any updates) and the winning recipe will be featured on our Home Page. 7. WHAT DO I GET IF I WIN? 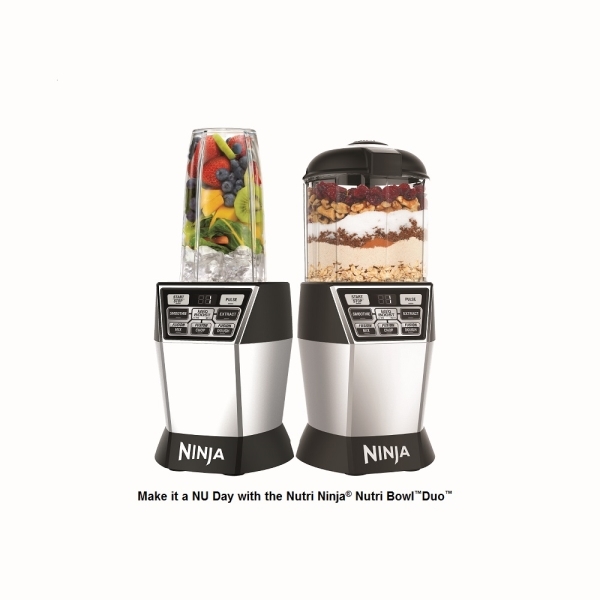 The winner will take home this brand-new Nutri Ninja Nutri Bowl DUO by NINJA. Also, the Winning recipe will be featured on Gingeritup.com and full credit will be given to the person who submitted the recipe. 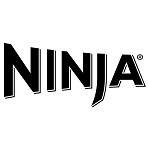 Winner takes home Nutri Ninja Nutri Bowl Duo- Make it a NU Day! If you’re not already a subscriber, we encourage you to enter your email address in the box on the right-hand side of the page to receive all the latest and greatest updates from GINGER-IT-UP. We hope you will participate and share your recipes with us. Only submissions received by Sunday, December 11, 2016 will be eligible to advance in the competition. We may choose to feature your recipe submission here on the blog throughout the run of the contest, and submitting your recipe will be considered permission to use your recipe throughout the contest period and in publications thereafter. Full credit will be given to the person who submitted the recipe. 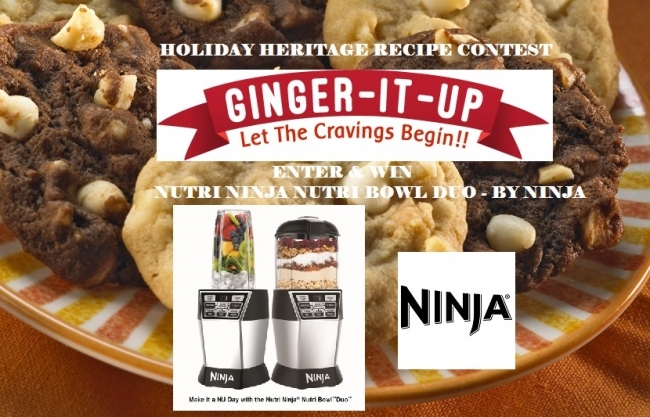 By entering into the contest, you give GINGER-IT-UP all rights to use the recipe, story and photo on their social media links for promotion with all the credit to the person submitting the recipe. Submit your holiday recipe to us at gingeritup.com/recipe-contest.